Customer Service Awards founder joins us! We are delighted to announce that Julie Todd, the founder of the Jersey and Guernsey Customer Service Awards, and co-founder of the Guernsey Property & Construction Awards has joined us as Business Manager. See the coverage in the Guernsey Press. The QRC team were delighted to be nominated for two national Awards and then to win both Awards exceeded our expectations. We were pleased to have support from the press in each Island reporting our success, as a local Channel Islands business. On Wednesday 17th September 2014, a B2B Networking Event was held in Guernsey. Our Jo was invited to part part of a panel discussion, see press write up from the Guernsey Press. Quintessential Relocation Consultants (QRC) nominated for two national awards for second consecutive year. 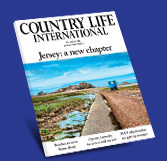 Download "CI Property : Special Report "
Download "QRC nominated for two National Awards "
Download "The QRC team and the Channel Islands "
Retreat to an Island, piece published in The Times. Download "Retreat to an Island "